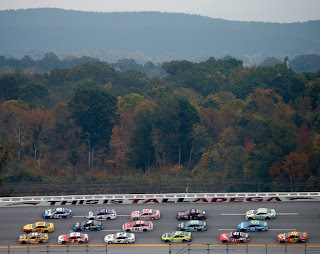 Talladega Superspeedway, located in Alabama, is not only the fastest track in NASCAR, with a NASCAR-sanctioned track record of 212.809 mph set by Bill Elliott in the pre-restrictor plate days of 1987, but a track that has a lot of stories to tell. Here are the Fast Facts on this fast track, originally published in Oct. 2013. Talladega Superspeedway, originally known as Alabama International Motor Speedway from 1968 to 1988, is located on what was once the Anniston Air Force Base just outside of Lincoln, Alabama. The 2.66-mile tri-oval is NASCAR’s longest oval track and has a seating capacity of 80,000; at its peak, seating capacity was 175,000. The groundbreaking for the track took place on May 23, 1968, a project spearheaded by Bill France, founder of NASCAR and Daytona International Speedway. France wanted a track faster than Daytona, and gave his new speedway 32- and 33-degree banking in its turns. The original drivers on the entry list for the first race in September 1969 abandoned the track due to tire problems; France went and hired substitute drivers for the event, which was won by Richard Brickhouse. Claims over the years have been made the speedway is cursed, jinxed or haunted. Legends bout the track include: it was built on Indian burial grounds; that the area was used by Indians for horse racing; and that their chief was killed there when he was thrown from his horse. There are eerie stories from drivers as well: NASCAR Hall of Famer Bobby Isaac heard voices while racing there in 1973 telling him to park his car and get out – he did just that, because earlier in the race, driver Larry Smith was killed in what seemed to be a minor accident. 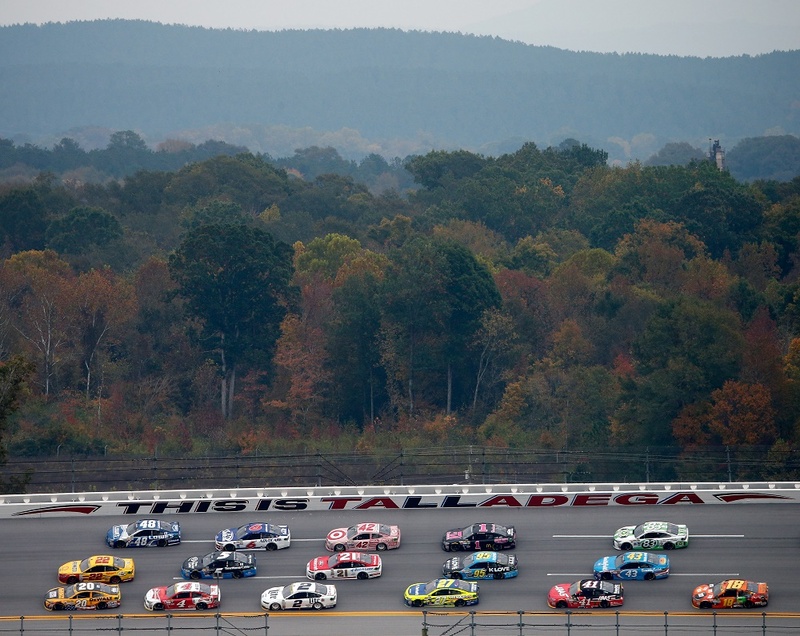 Dale Earnhardt Jr. leads active drivers with six wins at Talladega, the most recent coming in May 2015. Earnhardt Jr.’s first four wins came in a span of four races from Oct. 2001-April 2003. The most recent first-time race winners at the track were Brian Vickers (Oct. 2006) and Brad Keselowski (April 2009).